Our lives are busy now and it's sometimes difficult to have a quick meal that satisfies and keeps you going! 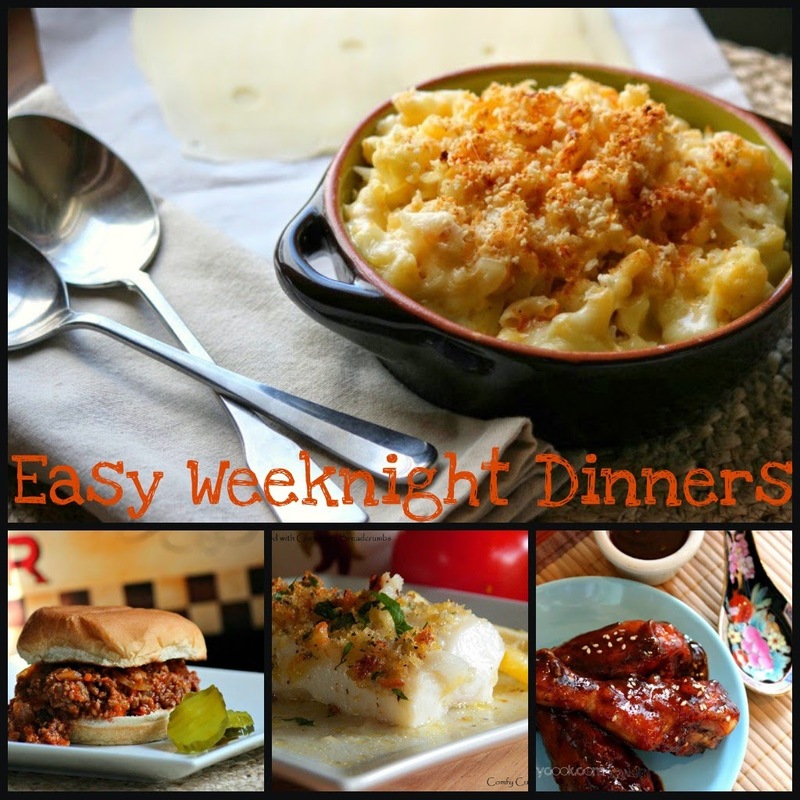 Please the whole family with these quick and delicious weeknight dinners. Monday: Cauliflower Mac & Cheese - Instead of macaroni alone, add lots of cauliflower that is loaded with lots of vitamins and minerals. Tuesday: Classic Sloppy Joes - Grated Carrots makes sure kids get some extra veggies! Wednesday: Baked Fresh Cod with Gremolata Breadcrumbs - The best thing about this dish is that you mix all the ingredients in the baking pan. Thursday: Oven BBQ Asian Chicken - Served with steamed rice or salad for a Asian-inspired weeknight meal. SUNDAY BONUS: Unstuffed Cabbage - All the flavor of regular cabbage rolls, but alot less bother to make. Enjoy and have a great week! Keep on cookin!